Van Kruger was at most a distraction, an insolent dog, a whetstone with which von Carstein would sharpen his armies. The real foe was the Empire, and the other realms of mortal men. 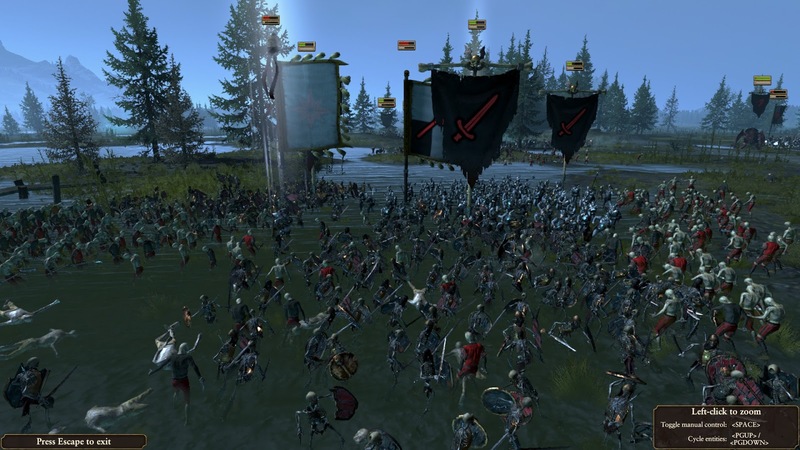 And so, upon hearing of mortals close at hand, von Carstein took his host north to the twilight marshes of Hel Fenn, where an expeditionary force of the Empire lay ripe for feasting. At Hel Fenn von Carstein knew he would find blood coursing through fear-constricted veins, though after such a slumber it could only salve his thirst, never quench it. Before battle was joined he sent an emissary to the Schwartzhafen vampires and secured a non-aggression pact; the time of their subjugation would come later. Better to fatten bull before slitting its throat, no? At Hel Fenn zombies splashed inexorably through the foetid marsh land, a tide of hungry death upon which the Empire would tire itself. 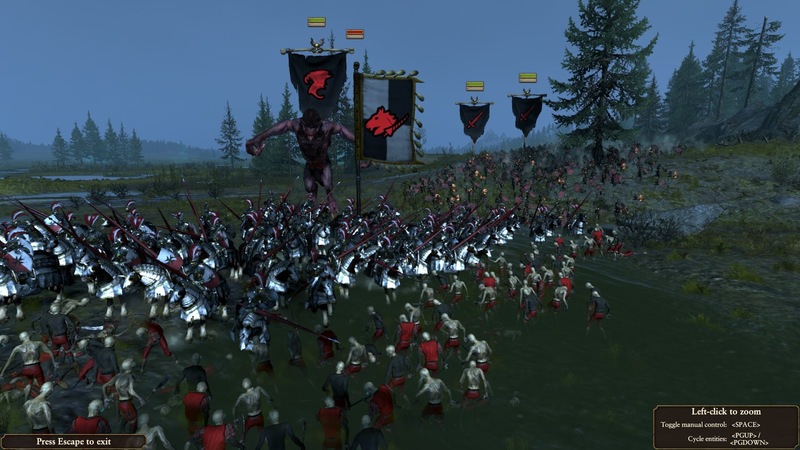 Von Carstein and the bulk of his skeletal warriors moved behind, while a detachment escorted the renowned varghulf along the road north. Musket fire raked the ranks of the dead, but failed to even slow their advance, in response the enemy committed their melee infantry, fearful but disciplined state troops. 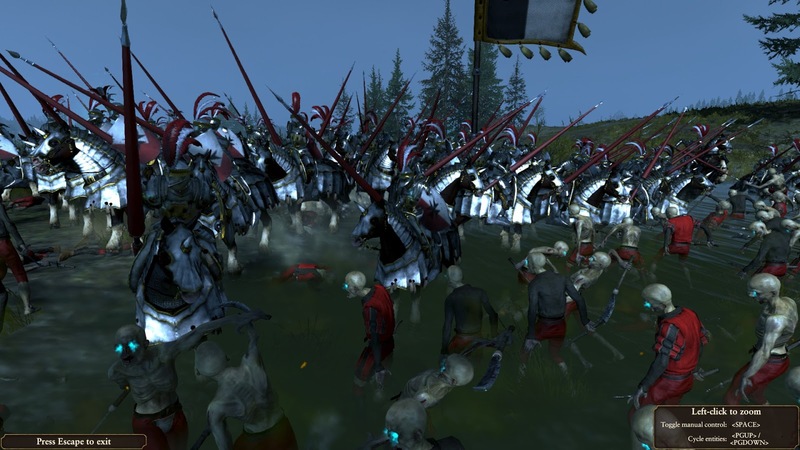 On the eastern flank a unit of Reiksguard, elite cavalry, speared the zombie formation and would break it entirely before long, spilling destruction down undead battleline soon after. 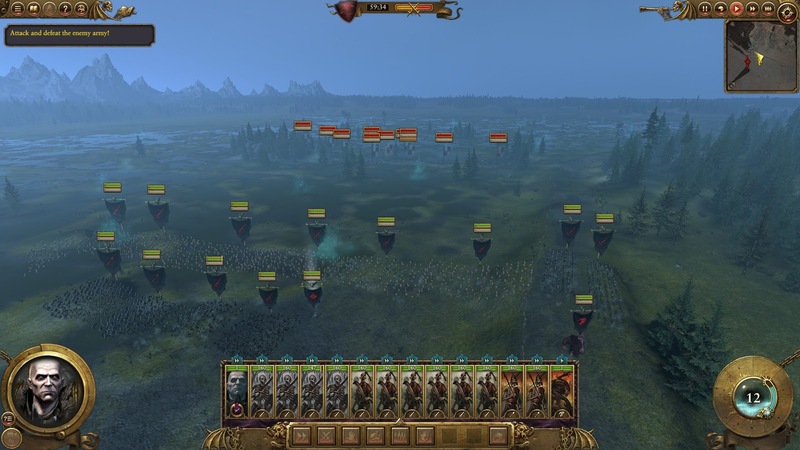 Having provisioned for such an occurrence, von Carstein ordered his skeletons and varghulf off the road, down the embankment, and into the flank of the Reiksguard. The knights fared little better than van Kruger’s zombies had against the undead behemoth. The undead of the eastern flank collapsed in on the enemy lines, falling first upon the hand gunners and rallying Reiksguard behind the main melee, then upon the engaged state troops. Despite the overwhelming mass of zombies and skeletons, General Hans and a stout unit of halberdiers fought on in thigh-deep swamp. In time, they too succumbed. 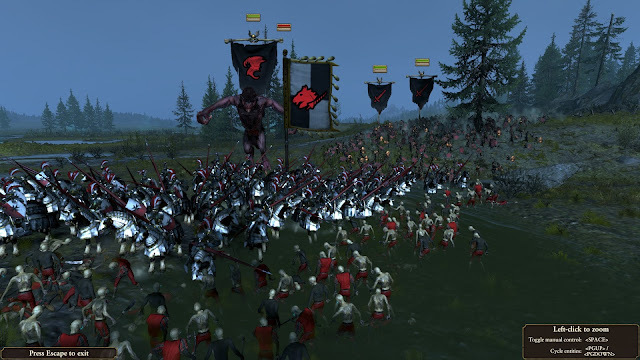 Meanwhile van Kruger seized the initiative struck at von Carstein’s mustering troops outside of Drakenhof, destroying them utterly before slinking back to the dubious safety of Castle Templehof.